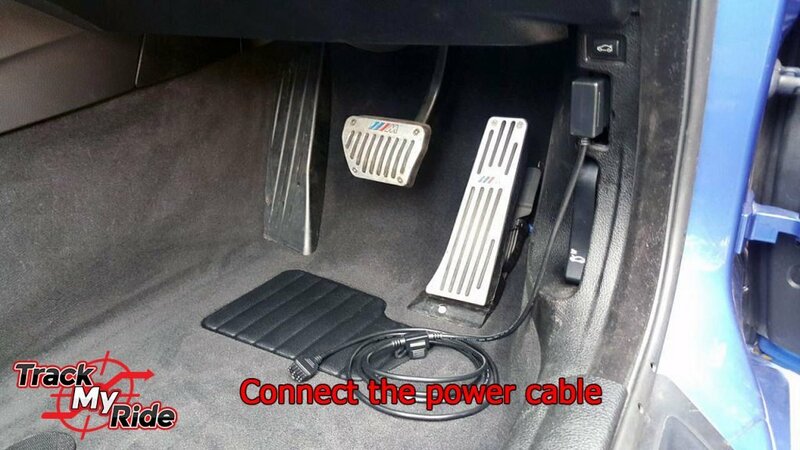 Plug & Play installation is the best way to install Track My Ride in your vehicle if you don’t have electrical skills or want to move your tracker to another vehicle. Simply locate your vehicle’s OBDII diagnostic port under the dash and plug your new tracker in – easy! Hard wire installation offers the most security when it comes to fitting Track My Ride in your vehicle. 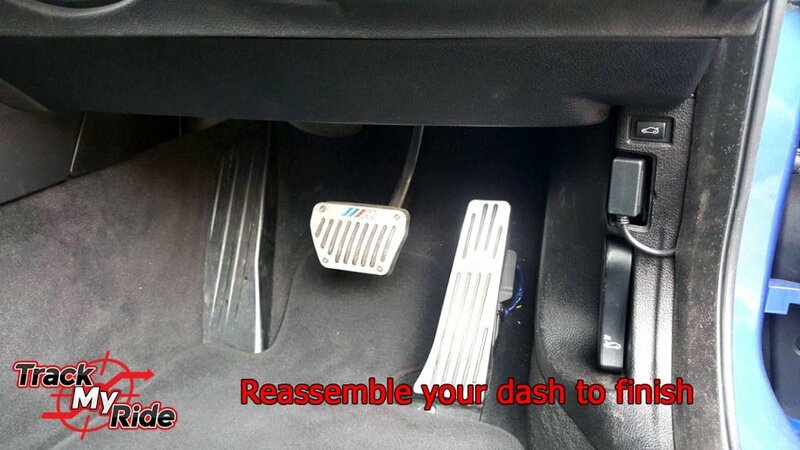 It is best suited for when you want to install TMR permanently in your vehicle. Track My Ride includes a Driver ID reader, 2x Driver ID keyfobs and Panic switch. These are optional to install and add to your vehicle’s overall security. 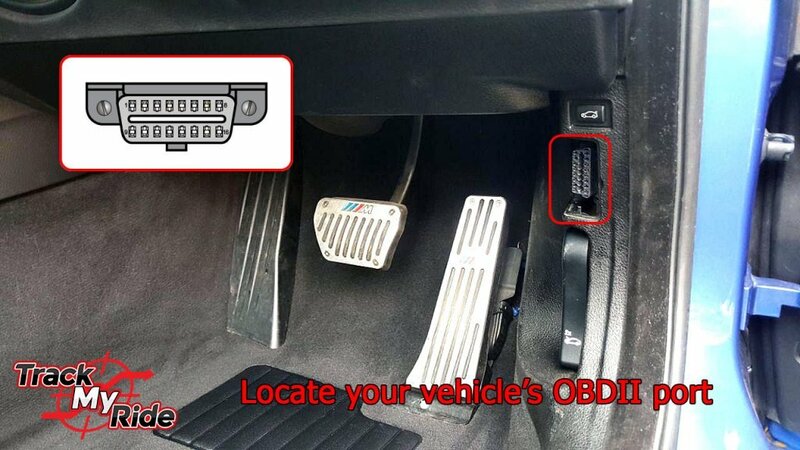 Locate your OBDII port under your dash, all vehicles manufactured since 1996 will have one. 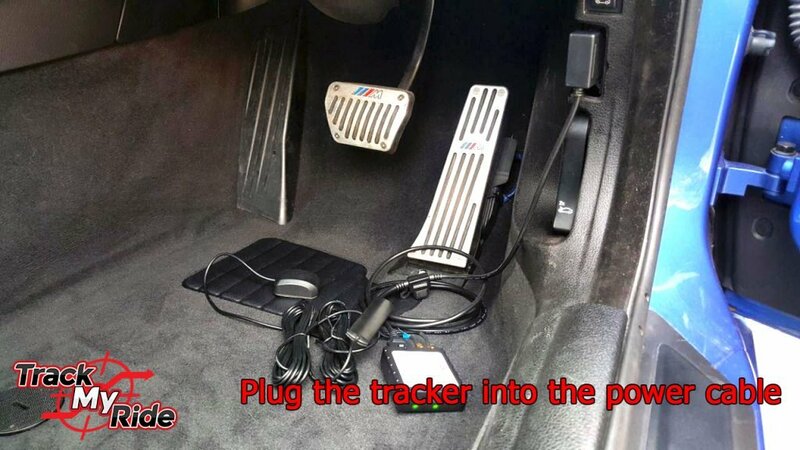 Connect the included Track My Ride OBDII power cable to your car and fit your new tracker under your dash. You’re ready to roll! Just activate your new tracker by visiting www.trackmyride.com.au/activate and our team will begin setting up your account. Track My Ride will automatically monitor your engine on/off status & track all your vehicle’s movements in real-time no matter where you go. 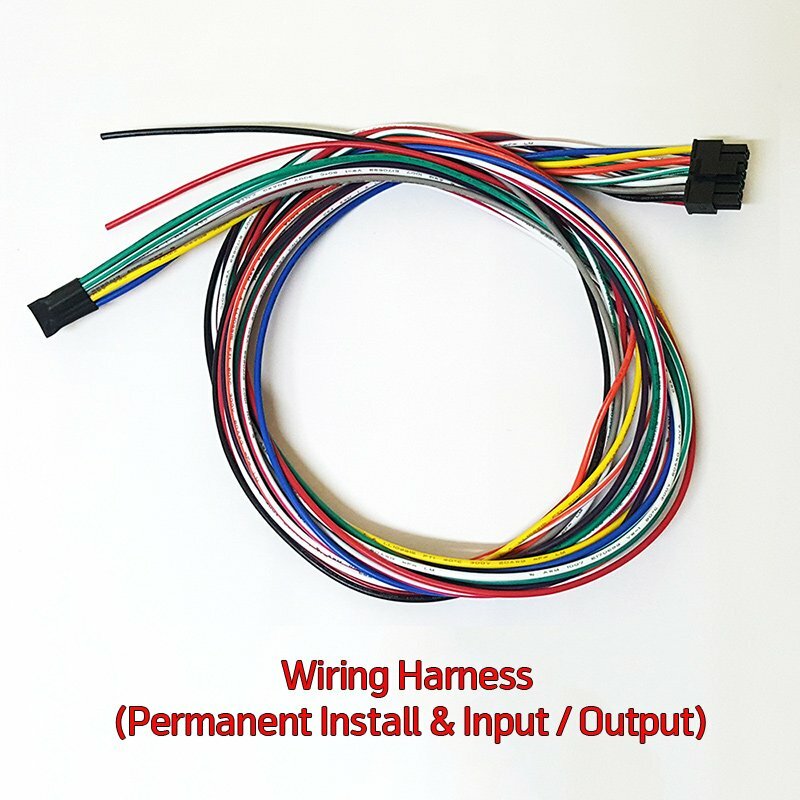 Your wiring harness should be connected to a constant +12V or +24V power source in your vehicle or a direct connection to your vehicle’s battery. 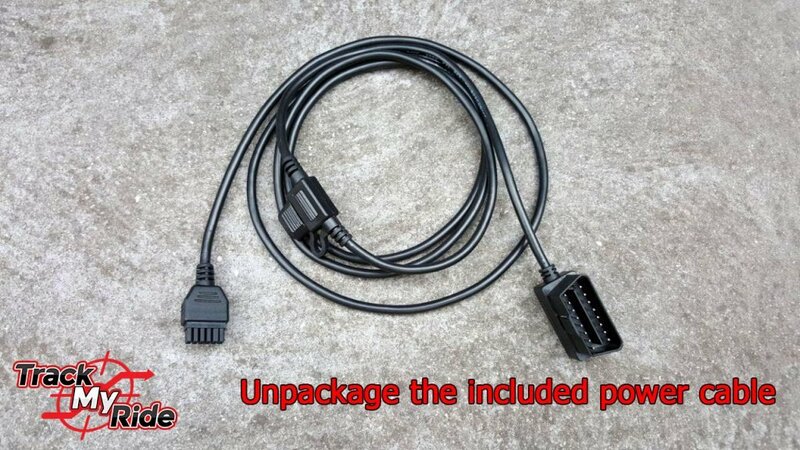 For instructions on the wiring harness’ extra wires, see the section below “Accessories Installation Instructions”. 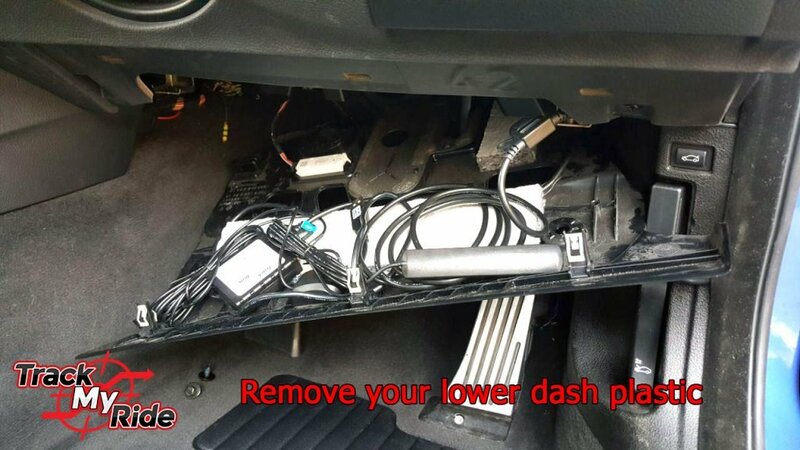 Connect the red wire from pin 1 marked “+10 … 30V DC” to your vehicle’s positive battery terminal or a positive 12V or 24V power source. We recommend a 2 amp fuse be fitted inline. Connect the black wire from pin 7 to your vehicle’s negative battery terminal, grounded vehicle chassis or negative power source. (Optional) For enhanced engine on/off detection connect the wire marked “Ignition” to a switched Accessories power source. This is a power source that is 0V when your car is off and +12V or +24V when your car is turned on or in the accessories power mode. 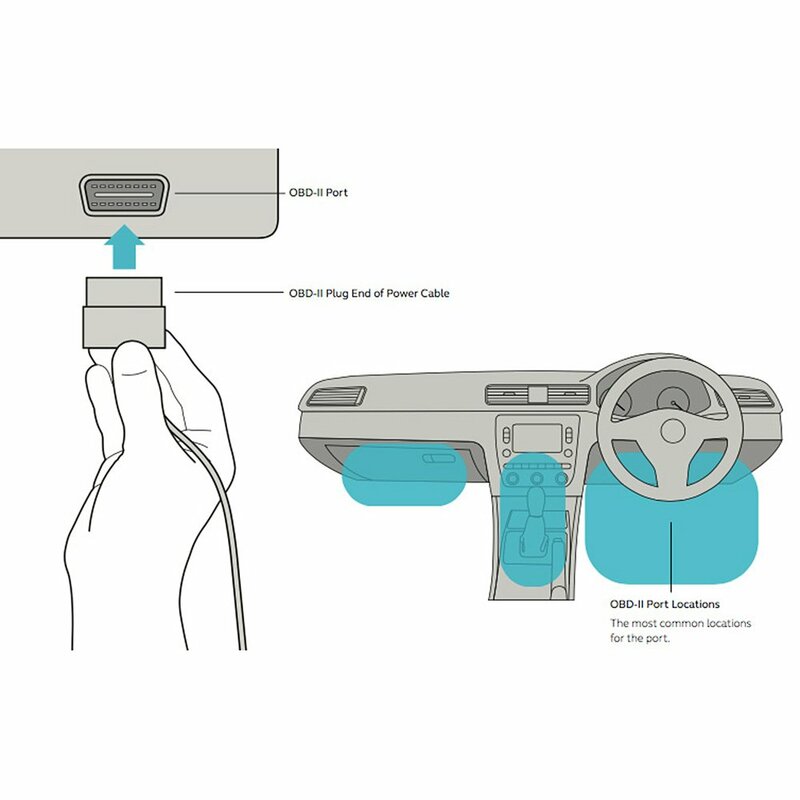 This can be for example the cigarette lighter, radio switched power or ignition power. (TMR-S7e & TMR-S5 External Antennas Model) Install the 3G data antenna (Long and thin) underneath your dash on a plastic surface, it does not need a view of the sky. The antenna has an adhesive pad on the bottom side to aid in mounting. For best signal strength the antenna should be oriented vertically up and down in relation to the ground. Do not mount the 3G data antenna directly onto metal or within 2 inches of any metal surface as it will reduce the antenna’s signal strength and your tracker may not be able to connect to the mobile data network. Avoid placing the antenna directly next to your vehicle’s electrical wiring. (TMR-S7e & TMR-S5 External Antennas Model) Install the GPS antenna (Small and square) under your dash as close to the top front of the dash plastics as possible. GPS signals can penetrate glass, plastic and fibreglass but cannot penetrate metal or heat reflective metallic infused windscreens. As such, do not mount the GPS antenna underneath metal. The antenna has an adhesive pad on the bottom side to aid in mounting. Mount the antenna with the top side pointing towards the sky. If installing in a truck, angle the antenna to point through the windshield towards the sky. (TMR-S7e & TMR-S5 External Antennas Model) Screw the GPS and 3G data antennas into the connectors on the tracker. They are labelled GPS and 3G. The antenna connectors are designed to screw into their designated port only with matching male and female connectors. Connect the power cable to your tracker. The 2 LED lights on the tracker will turn on and begin to flash. If they do not light up please check your wiring. Mount the tracker in your vehicle in a location that it will not come in contact with water. 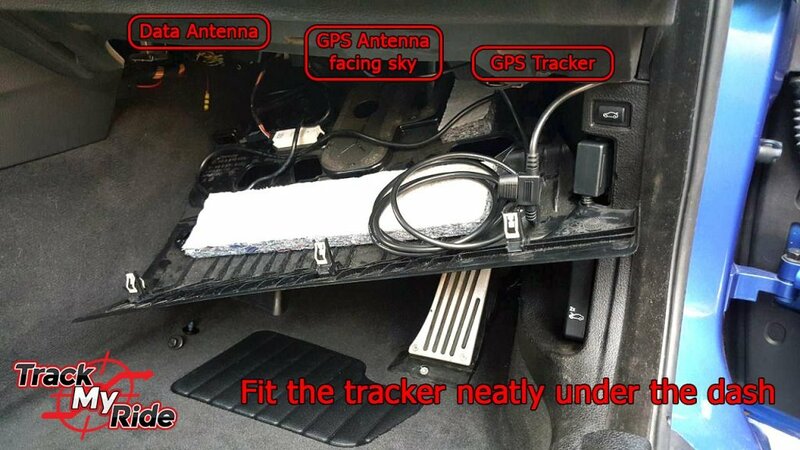 The GPS & Data antennas are waterproof but the tracker hardware unit is not. Track My Ride includes an driver ID keyfob reader and driver ID keyfobs which can be used by your drivers to maintain records of who is operating your vehicle. The reader will register the ID of the keyfob when the keyfob is pressed to the reader momentarily. The keyfob reader’s red wire (Centre pin) should be connected to the wire marked “Keyfob Data / ID Data ” on your tracker. The black wire of the reader should be connected to a common ground that the tracker is connected such as your vehicle’s chassis or “Ground – Pin 7” on your tracker. 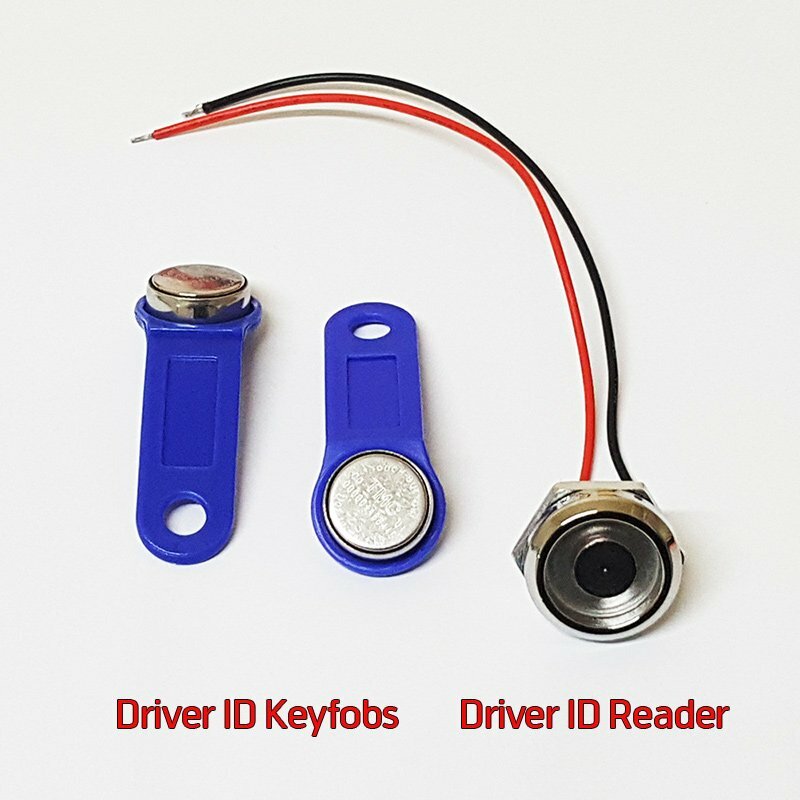 Install the Driver ID Reader in an easy to access location in your vehicle. The panic switch is used to trigger an instant notification to the account owner and other key personnel when the panic switch is pressed. The panic switch is included in the Track My Ride box. The panic function is triggered when +12V is detected on your Track Mt Ride hardware’s ‘Input 2’ for > 200ms. 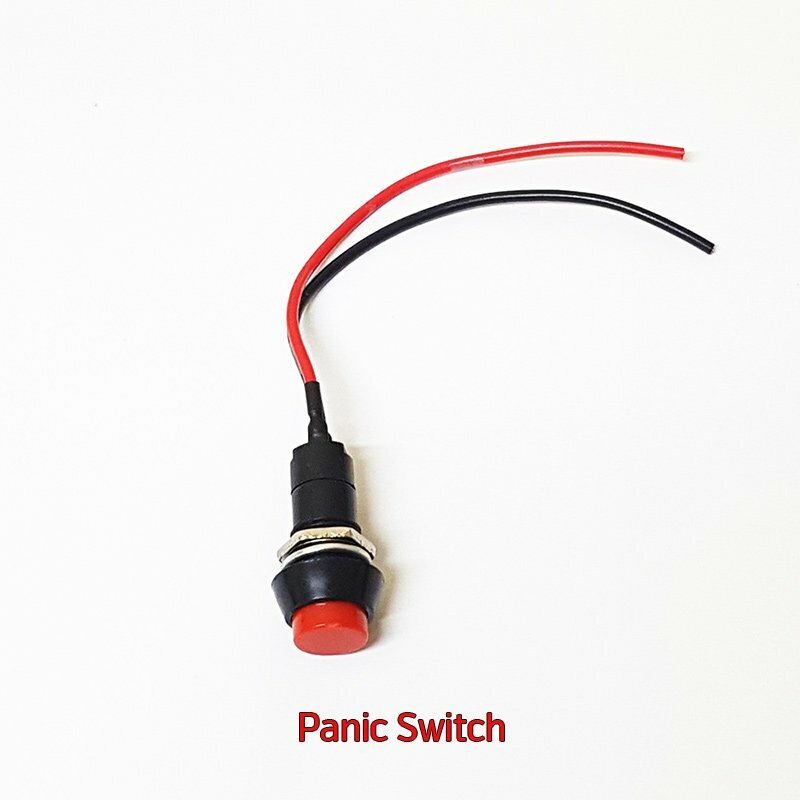 The input allocated to the panic switch can be changed in your Track My Ride account. Connect a +12V power source to one of the wires on your included panic switch (momentary switch). Connect the other wire of the panic switch to the wire marked ‘Input 2’ on your Track My Ride hardware. Track My Ride model TMR-S7, TMR-S7e & TMR-S5 feature 3 external input connections. Inputs allow the tracker to know when an external event is taking place – like your vehicle’s alarm has triggered or a door has been opened. In these two instances it would be accomplished by connecting the input to the alarm’s horn/signal output or vehicle’s interior light. Inputs can be tied to alerts to automatically notify you via SMS, Email or Push Notification to your mobile phone when these events occur. Inputs monitor for an external voltage being present on the input channel >= 9V. As such inputs can be connected to any external switched power source or device to monitor when they turn on & off. Outputs provide a remotely switchable path to ground. Outputs must be used in conjunction with a relay if you’re going to be switching more than 800mA of current. The relay can then be used to switch on and off a high current external device – like a horn or other item. Output channels are limited to switching at maximum 800mA if you don’t use a relay. Switching more than 800mA through the output channel will burn out that output channel and could cause damage to your tracker which is not covered by your warranty. Track My Ride includes an optional driver ID keyfob reader, this can be used to immobilise your vehicle unless a driver keys on or to maintain records of who is operating your vehicle. The reader will register the ID of the keyfob when the keyfob is pressed to the reader momentarily. The keyfob reader’s red wire (Centre pin) should be connected to the wire marked “Keyfob Data / ID Data ” on your tracker. The black wire of the reader should be connected to a common ground that the tracker is connected such as your vehicle’s chassis or “Ground – Pin 7” on your tracker. Install the Driver ID Reader in an easy to access location in your vehicle. Track My Ride can be used to immobilise your vehicle until a driver ID keyfob is presented by the driver. 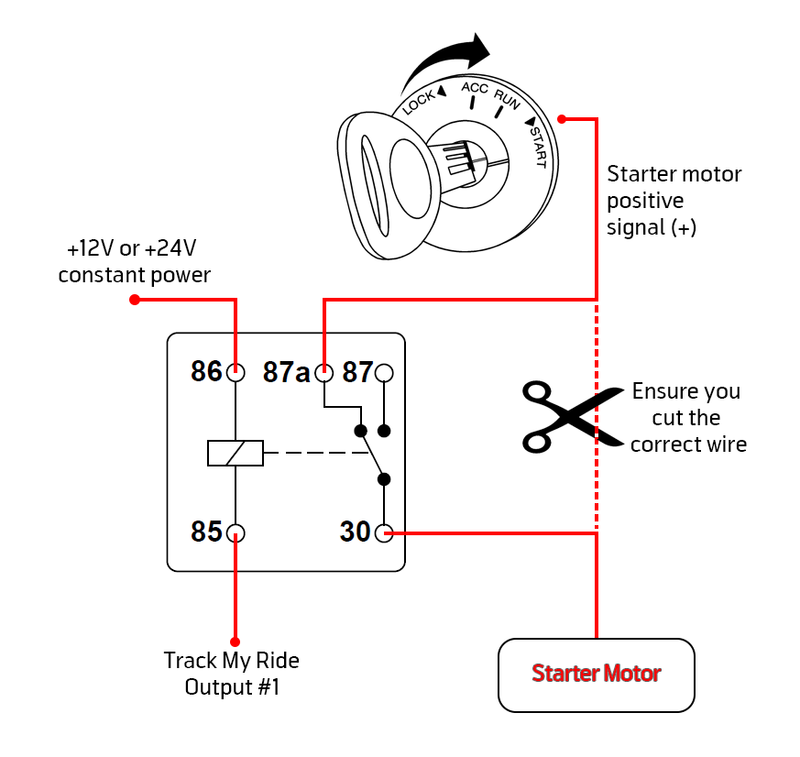 Track My Ride immobilisation operates as a fail-safe, only energising the relay (relay not included) and breaking the connection to the starter motor once the vehicle has been turned to accessories, prior to the engine being started. This way if the Track My Ride system should become faulty, your vehicle will not remain immobilised permanently. The immobiliser functionality operates offline and does not require the vehicle to be in a cellular network area to function. In order for the immobiliser functionality to operate, you must follow the immobiliser wiring installation instructions below and activate the immobiliser feature in your Track My Ride account. Enable the immobiliser functionality for the vehicle in your TMR account or call our team on 1300 553 022 to action this for you. Install the driver ID reader as per the instructions on this page. Connect the tracker wiring harness ‘Ignition (Pin 5)’ wire to switched +12V Accessories power (such as cigarette lighter, or radio). Connect the tracker’s ‘Output 1’ to your relay as shown in the wiring diagram below. 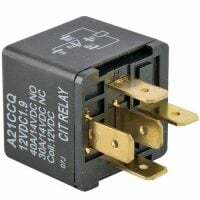 Connect the relay in your vehicle to break the circuit of your vehicle’s starter motor signal wire or other circuit as appropriate. Note : Ensure you use a relay that’s rated to your vehicle’s voltage, typically 12V for passenger vehicles & 24V for trucks and heavy machinery.